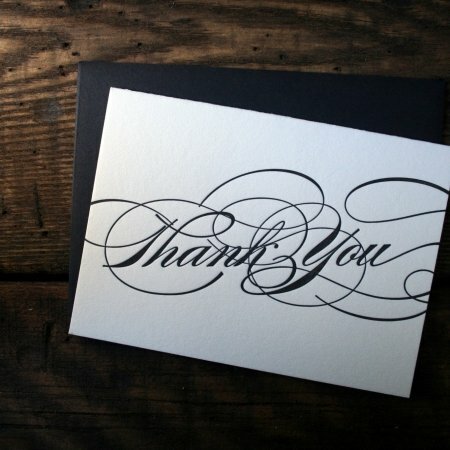 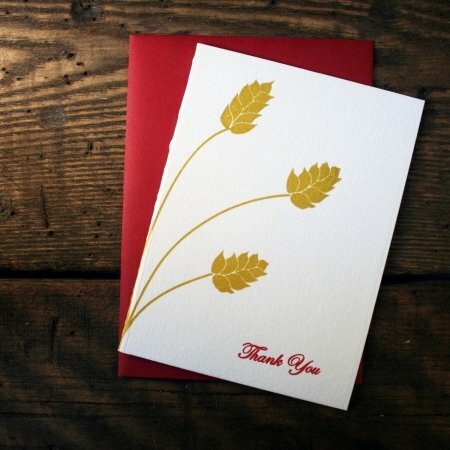 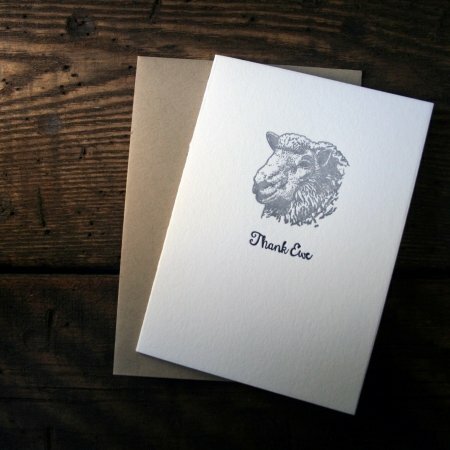 Letterpress thank you cards are the perfect closure after the wedding gifts have been opened, to express your thank for that or any other occasion. 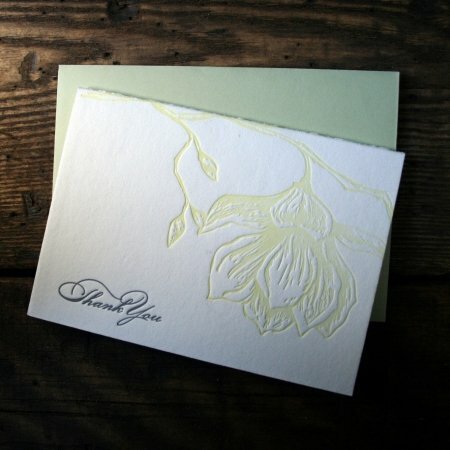 Twin Ravens Press in Eugene, Oregon creates incredible letterpress thank-you cards in unique printed designs you won’t find anywhere else. 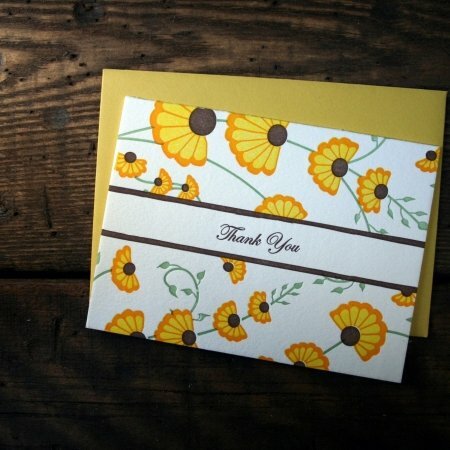 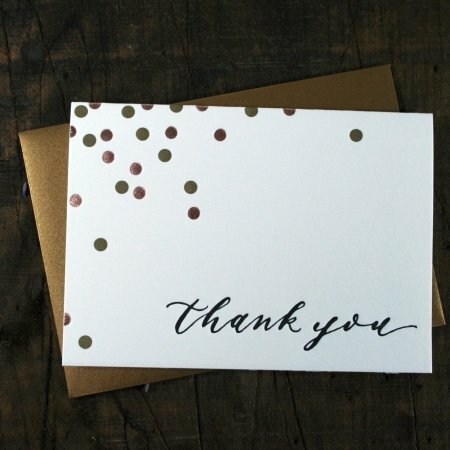 For any occasion, a hand-written thank you note shows real care and thought for the person you send it to. 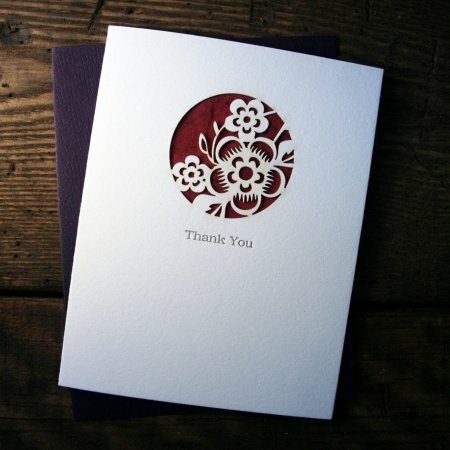 Available in timeless thank you card designs, individually or in packs, these letterpress thank yous can make someone’s day.